For that reason, researchers at Rice and Northwestern universities have developed a method to view 2-D borophene crystals, which can have many lattice configurations—called polymorphs—that in turn determine their characteristics. Graphene takes a single form—an array of hexagons, like chicken wire—but perfect borophene is a grid of triangles. However, borophene is a polymorph, a material that can have more than one crystal structure. Vacancies that leave patterns of "hollow hexagons" in a borophene lattice determine its physical and electrical properties. 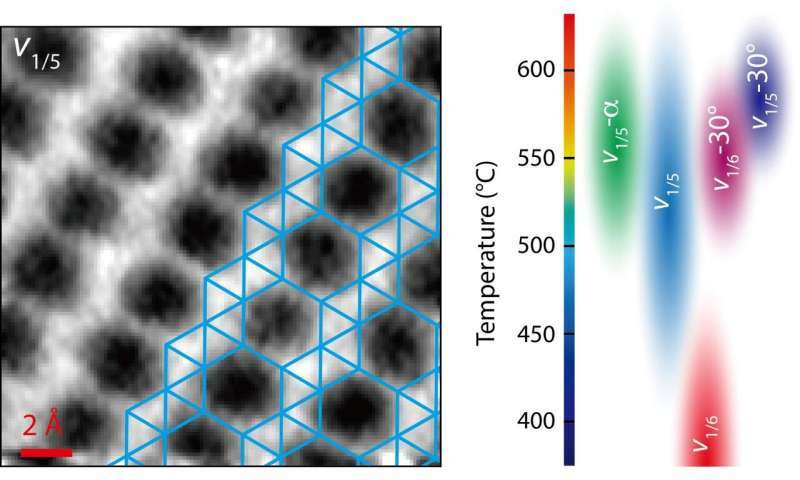 The team produced a phase diagram that lays out how borophene is likely to form under certain temperatures and on a variety of substrates, and noted their microscopy advances will be valuable for finding the atomic structures of emerging 2-D materials.